Storage, or the lack of it, can be the biggest headache for any gardener. From weatherproof seating to your man-sized barbecue, your outdoor space is often the home to some of your most serious bits of kit. However, the question on most people’s lips is, ‘where to store it all?’. Well, if you’re lucky to have a a utility room handy, you can always throw it in there, but you’ll be soon tripping over it and cursing every bad word under the sun. 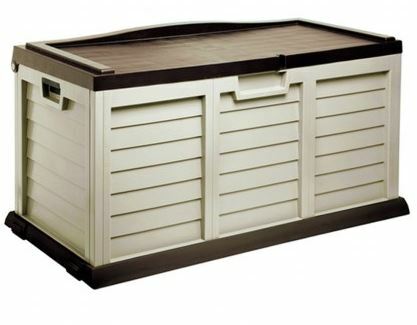 So, think more practically and more inside the box as we reveal some of the best items out there that’ll help overcome your garden storage nightmares. What about the garden shed? Clearly, the popular garden shed is always the preferred choice when it comes to garden storage. However, they’ve become a little outdated of late, especially with the notion that space is becoming more limited in our homes, and the fact that a shed is simply just a shed. To combat this, think about dual purpose and versatility . 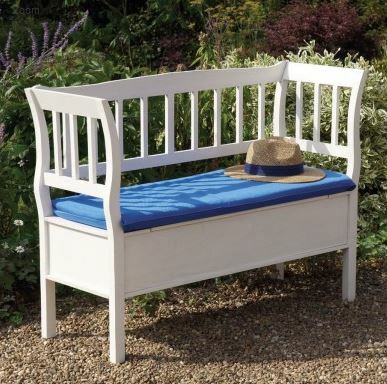 . . what about a sideways shed that doubles up as a lovely little bench for your guests? However, if style is one of your main prerequisites, then you could always go down the road of this trendy blue and white storage bench. Ideal for those with a smaller garden. With the shed stocked up with tools and the utility room now out of bounds, it’s time to begin head scratching once again. Well, never fear as the honey-brown timber finish of this garden chest will provide a practical storage solution to most of your bulky furniture issues. Whether they’re brown, green, grey or any other colour of the rainbow, for most people wheelie bins and recycling boxes have become the bane of their lives. Okay, we all know the importance of doing it, but, y’know, they’re a bit unsightly and just seem to get in the way all the time. Well, these timber stores are the perfect way of combating your bin related issues. So your city centre dwelling may not have enough room to swing a cat, but you’ve got a huge love of plants, flowers and vegetables. In spite of this scenario, a portable greenhouse will become the perfect accommodation for your green fingers . . . We highly recommend that you try one of these. 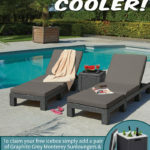 Before the onset of panic after you’ve realised there’s no storage for your newly purchased garden furniture soon after the heavens have decided to open, we suggest starting off on the right foot, by purchasing garden furniture that is versatile, durable and extremely easy to store – how about some stackable Sento dining chairs or an ice cube cooler that doubles up as a table? Well, there you go! 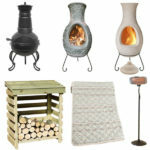 Some great practical storage ideas for your rather cumbersome garden furniture, accessories and tools. 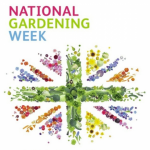 Gardening for Spring: Time to Get Out in the Garden! Admin do you want unlimited content for your wordpress blog?